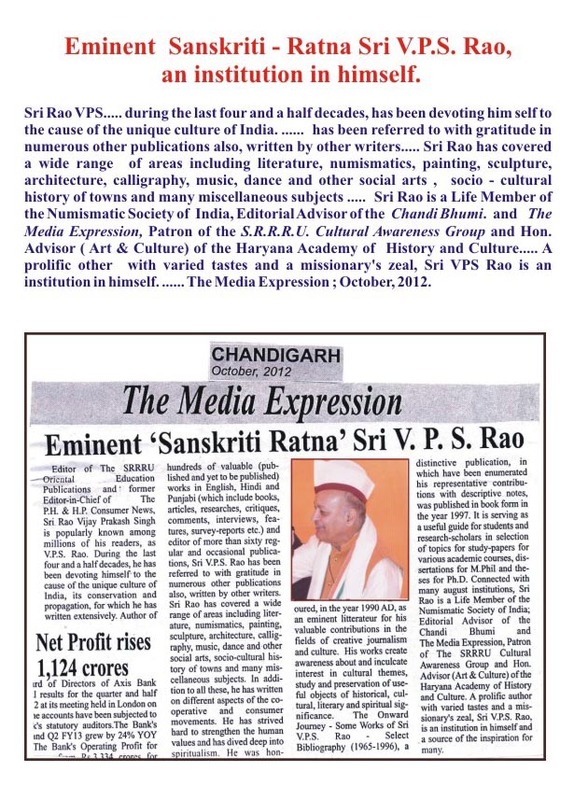 Eminent Sanskriti – Ratna Sri V.P.S. Rao,an institution in himself. « Eminent Sanskriti – Ratna Sri Rao V.P.S. Birth-day Special Issue of the Chandi Bhumi.